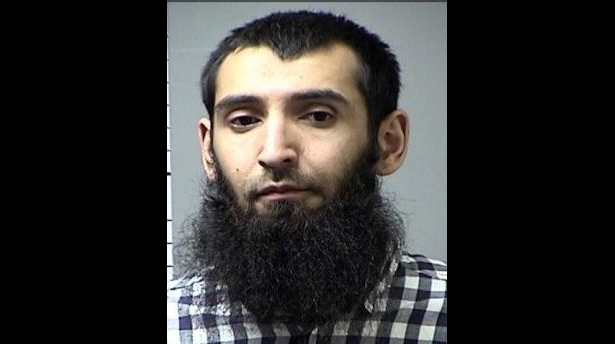 Earlier today, Sayfullo Saipov, a 29-year-old originally from Uzbekistan but with a green card to legally stay in the United States, drove a rental truck down a popular bike path near the World Trade Center and killed eight people. He also shouted, “Allahu Akbar,” according to local reports. New York City’s Mayor Bill de Blasio declared the attack “an act of terror,” according to the New York Post. [Saipov] was shot by a cop after getting out of his car at Chambers and West streets with two realistic-looking guns while screaming “Allahu Akbar” — Arabic for God is good, police sources said. Despite these connections to radical Islam and potential links to ISIS itself, Gov. Andrew Cuomo described the event as a “lone wolf” attack. He claimed that, while the suspect may have idolized ISIS, he was in fact not affiliated with the group. “The new terrorist tactic which they have called for publicly, are these lone wolves who commit an act of terror,” the governor said. Of course Donald Trump took no time to “wait for the facts” or look to “both sides” for his response. He jumped to Twitter to immediately to say there was “another attack by a very sick and deranged person…NOT IN THE U.S.A.!” Well, guess what? 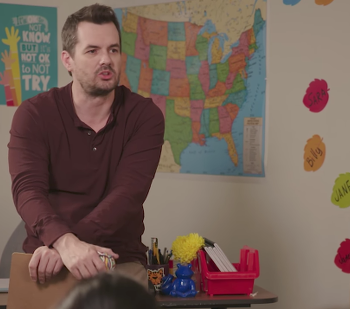 It did happen in the U.S.A.
Again, he’s ignoring the facts: 1) We don’t yet know if the man had a formal affiliation with ISIS even if there are hints of a connection and 2) ISIS hasn’t been “defeated” in the Middle East. Finally, Trump said he was going to “step up” his extreme vetting program, better known as the Muslim Ban. Unfortunately for Trump, Uzbekistan was never on his list of countries from which people would be banned from entering the country, and none of his vetting procedures would have prevented this man from lawfully entering the United States (as he did). Punishing all Muslims for the crime of a man who was either a religious radical — or at least playing the part of one — was a legal failure early in the Trump administration and there’s no reason to think it’ll work again this time. 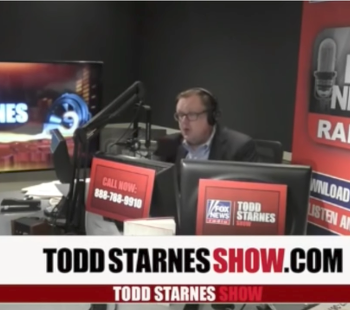 Todd Starnes: Trump Needs to "Stop the Jihad" and "Get Rid of Bob Mueller"